After dropping an aluminum bombshell on the typically conservative truck market, Ford has continued to update the F-150 with new styling, more potent engines, and more efficient powertrains. These comprehensive updates have now truly left the competition from GM, RAM, and Toyota in the dust. For 2019 the F-150 has received new front and rear styling to ensure that everyone knows you’re driving the latest Ford pickup. 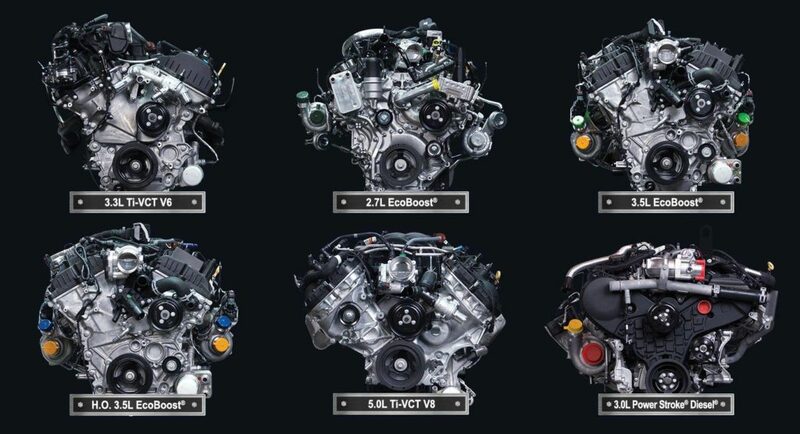 A new standard V6 along with revised engine options has made the 2019 F-150 more powerful than ever before – yet an all-new 10-speed transmission ensures that you won’t pay a fuel economy penalty for the added power. Check out our huge inventory of Ford F-150s in a variety of trims like XLT, Lariat, FX4, Platinum, and Limited. Or call our truck experts at (306) 682-2652 to book a test drive. Ford has once again raised the bar on pick up truck interior comfort and technology. This latest generation F-150 has a host of new features that’ll make every commute feel comfortable, confident, and in control. The most visible addition is the 8″ Productivity Screen placed within the gauge cluster. This high-resolution monitor gives you a reading on your truck’s most important stats from a convenient location, such as fuel economy, transmission temperature, driving range, towing status, off road angle, and more. 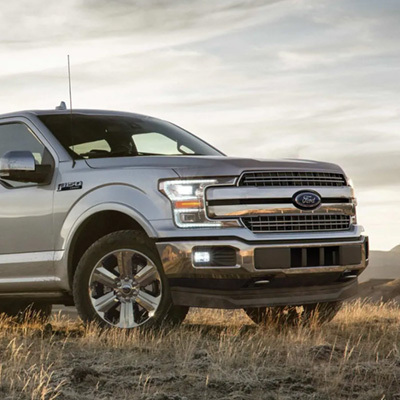 The 2019 Ford F-150 also houses some invaluable electric features like the 400-watt power outlet and LED lighted box, two small touches that prove that Ford always has you in mind. If you’d like to leave the customization to yourself instead of Tuscany, visit the 2019 Ford F-150 parts experts at Discovery Ford near Humboldt, Bruno, Prud’ Homme, Sagehill, Saint Benedict, Middle Lake, Pilger, Fulda, Marysburg, Muenster, Saint Gregor, LeRoy, Englefeld, or Lake Lenore Saskatchewan. We have a huge F-150 parts inventory of factory-certified chrome step bars, exhaust tip, off road wheels and tires, hood deflectors, and rubber floor mats. You can also save yourself some time and book your F-150 in for an accessories installation at your next oil change. Just use our easy service appointment form and you’ll be scheduled as soon as possible.